A nation’s backbone is its currency, whose value usually determines where it stands in the global market. This used to be true years back when there were boundaries restricting countries, and conversion rates and taxes placed a restriction on the flow of money. But now, thanks to cryptocurrency, things are taking a different turn for the better because it allows people from different countries to easily make business transactions with anybody from any part of the world without having to stress about on-border transfer issues and customs. However, the load on cryptocurrency networks are becoming really too much and people do not know how to use these networks efficiently, but CryptoHawk is here to solve that. On an average, a developing country is able to bring in over 150,000 individuals that are willing to invest in cryptocurrencies and use the blockchain technology, and this is has caused the world to edge more towards digitalization using cryptocurrency. But as cryptocurrencies gain more ground in the global economy, the current cryptocurrency networks will not be able to withstand the load and traffic, which is the basis for the development of the CryptoHawk platform. CryptoHawk is the first of its kind as it presents a platform that can handle buying and selling demographically, safe and totally secure from attacks, and functions as an all-in-one solution for cryptocurrencies. With the overwhelming number of cryptocurrencies out in the digital market, a vast number of opportunities has been presented for people willing to invest in the currency, and CryptoHawk provides support and services that can match all of these with remarkable effectiveness. Being an evolving company, CryptoHawk comes with its own in-app token known as the Hawk token, which is almost equivalent to all the other cryptocurrencies out in the market. However, what makes the Hawk token different is that it gives users a profit participation and voting rights, and also 25% of the total trading fees on a monthly basis. The Hawk ICO roadmap started on March 1, 2018, with a Crowdsale, and will continue until July 16. During this period the price of the token will be placed at 1 ETH = 8,000 HAWKS with the hard cap and soft cap placed at $5,000,000 and $500,000 respectively. It is without a doubt that CryptoHawk offers something exceptional that will cause a revolution on how the cryptocurrency world operates. The platform offers services that are safer, more efficient, and faster most of the blockchain platforms already out on the market. They are presenting the world of digital currency with a way that users can make transactions using whatever cryptocurrency they own. 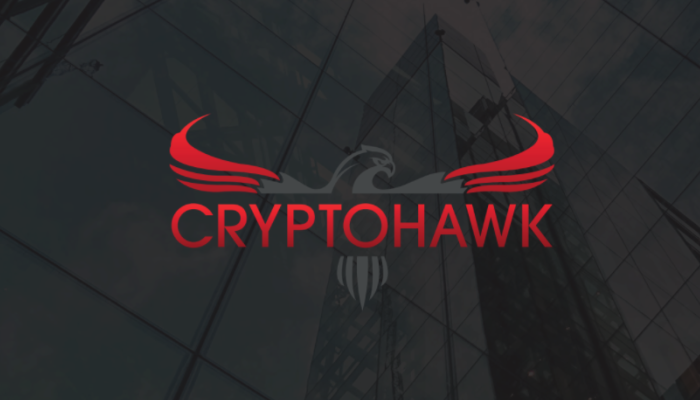 CryptoHawk is definitely taking the world of cryptocurrency to the next level, and with the HAWK token and awesome features of the platform, they might just achieve their ultimate goal. Bringing Cryptocurrency to the Banking World with Asseta.